THDC India Limited (formerly known as Tehri Hydro Development Corporation Ltd.), is a Joint Venture of Govt. of India and Govt. of Uttar Pradesh. The Equity is shared in the ratio of 75:25 between GoI and GoUP for the Power Component.THDCIL is one of the premier hydro power generators in the country with installed capacity of 1400 MW with commissioning of Tehri & Koteshwar Dam to its credit and is bestowed with 'Mini Ratna-Category-I & Schedule 'A' Status. 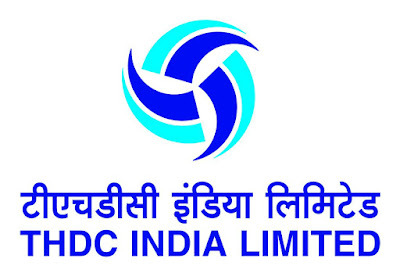 THDCIL invites applications from bright result oriented, energetic and dynamic young Diploma Engineers of Uttarakhand domicile with bright academic record to join the organization as JUNIOR ENGINEER TRAINEE in Civil, Mechanical & Electrical Discipline. Selected candidates will be placed at minimum basic pay of Rs. 16,000.00 in the pay scale of Rs. 16,000-3%- 35500 (IDA)* as Jr. Engineer Trainee. During training, besides Basic Pay they will be entitled for IDA, perks and allowances under cafeteria approach, leaves, shared accommodation for self , medical treatment for self at THDC Dispensary and Empanelled Hospitals, Provident Fund, Pension, Gratuity as per rules in force from time to time. 3 Yrs Full Time Regular Diploma in relevant branch (Elect/Mech/Civil) of Engineering recognized by respective State Board of Technical Education/ Examination and/ or State Departments/Directorates of Technical Education and All India Council of Technical Education (AICTE) with minimum 65% marks for General/OBC(NCL) candidates and pass marks for SC/ST/PwD/ candidates. The selection process of candidates will be based on their performance in Written Test Only. Interested eligible candidates should apply through online registration system of THDCIL. To apply, log on to www.thdc.gov.in → Recruitment Section →”Online Application for the post of Jr. Engineer Trainee”. With your valid E-mail ID. No other means/ mode of application shall be accepted. After that Collect all Your Required Documents and send with the Application form through ordinary post/ speed post/Registered Post only at the following address in an envelope superscribed : “Application for the Post of Jr. Engineer Trainee (Civil/Mechanical/Electrical)” so as to reach latest by the Last Date of receipt of applications. 7. Availability of Admit Cards - Will be notified later on the website. 8. Date of Written Test - Will be notified later on the website.